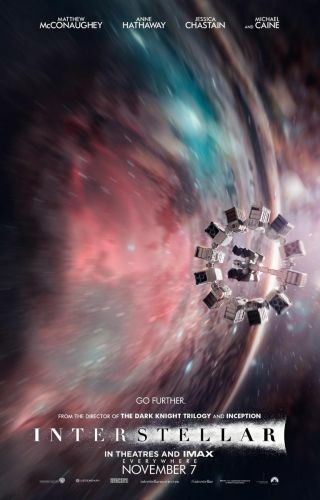 'Interstellar' Science: Is Wormhole Travel Possible? Wormholes are theoretical tunnels through the fabric of space-time that could potentially allow rapid travel between widely separated points — from one galaxy to another, for example, as depicted in Christopher Nolan's "Interstellar," which opened in theaters around the world earlier this month. "The jury is not in, so we just don't know," Thorne, one of the world's leading authorities on relativity, black holes and wormholes, told Space.com. "But there are very strong indications that wormholes that a human could travel through are forbidden by the laws of physics. That's sad, that's unfortunate, but that's the direction in which things are pointing." The major barrier has to do with a wormhole's instability, he said. "Wormholes — if you don't have something threading through them to hold them open — the walls will basically collapse so fast that nothing can go through them," Thorne said. Holding wormholes open would require the insertion of something that anti-gravitates — namely, negative energy. Negative energy has been created in the lab via quantum effects, Thorne said: One region of space borrows energy from another region that didn't have any to begin with, creating a deficit. "So it does happen in physics," he said. "But we have very strong, but not firm, indications that you can never get enough negative energy that repels and keeps the wormhole's walls open; you can never get enough to do that." Furthermore, traversable wormholes — if they can exist at all — almost certainly cannot occur naturally, Thorne added. That is, they must be created by an advanced civilization. And that's exactly what happens in "Interstellar": Mysterious beings construct a wormhole near Saturn, allowing a small band of pioneers, led by a former farmer named Cooper (played by Matthew McConaughey) to journey far afield in search of a new home for humanity, whose existence on Earth is threatened by global crop failures. Anyone interested in learning more about the science of "Interstellar" — which also features gravitational time dilation and depictions of several alien planets orbiting close to a supermassive black hole — can check out Thorne's new book, which is called, appropriately enough, "The Science of 'Interstellar.'" Further, the California-based Kavli Foundation will host a webcast Wednesday (Nov. 26) in which physicists discuss the movie's science. Wormholes have been a staple of science fiction for decades. Interestingly, Thorne said that one of the genre's most famous titles helped inspire scientists to try to better understand the hypothetical structures. "The modern research on the physics of wormholes largely stems from the movie 'Contact,' from conversations I had with [renowned late scientist] Carl Sagan — actually, when he was writing his novel 'Contact,'" Thorne said. "Contact" features traversable wormholes. The novel came out in 1985, while the movie (which also stars Matthew McConaughey, apparently a wormhole connoisseur) was released in 1997.